Last year “Hope For Health” kicked real goals by improving the chronic health conditions of 10 out of 12 Yolŋu women who went through the program. They are now living examples on their community of Galiwinku on Elcho Island. 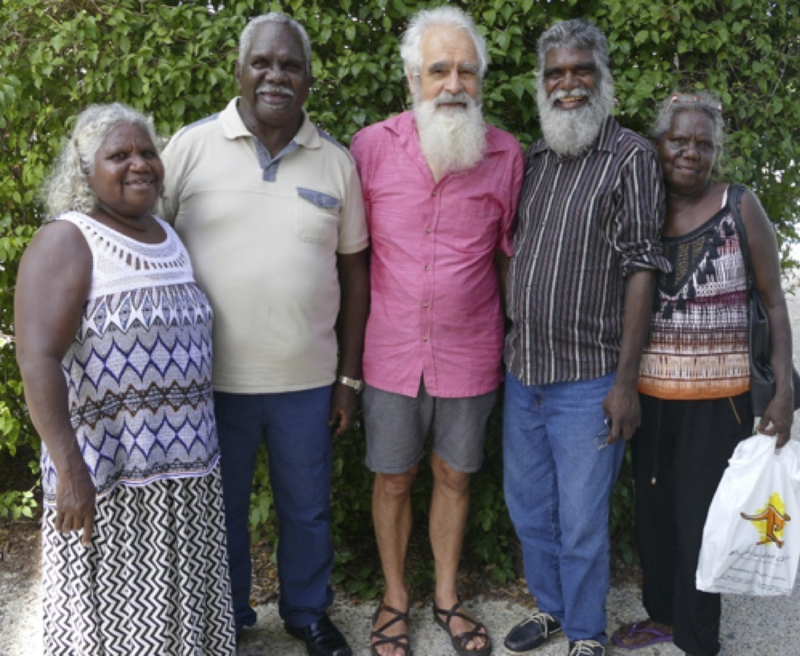 This is a truly good news story amongst the devastating health problems of Yolŋu people and the many bleak health stories for Aboriginal people across Australia. This year, we are excited that “Hope For Health” has kicked another big goal. On January 17, I joined two Yolŋu couples from Galiwinku at a health retreat in Queensland, where I took them through the same program. 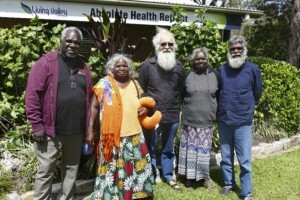 Just before Christmas, the men in the group had be evacuated from their community to Royal Darwin Hospital, both suffering from life-threatening conditions. They then both asked if they could go through the Hope for Health program. These men could see the changed lives of the Yolŋu women back on Elcho Island and their example was telling to them. When the two men asked if I could help, I wasn’t sure it was possible, seeing they lived over 100km from where I am in Nhulunbuy. Controlled intervention was needed. One man had extremely high blood pressure of 200 over 140 and was on a variety of medication to try and get his sugar levels and blood pressure down. The other man’s condition was severe. To make it more difficult, our main staff in the “Hope For Health” program in the local community at Galiwinku were on leave. I began to talked them through how they needed to change their lives, eat the right food and start exercising. However it soon became obvious we needed an extended, controlled, live-in retreat situation for them, where I could share enough information, and they could become used to the right food and have their medication levels sorted with professional help. I speak medical Yolŋu Matha and have taught primary health subjects and done hundreds of medical interventions with Yolŋu people for over 30 years now, so the English to Yolŋu Matha explanations were no problem. However they needed more than just information. One man’s diet was a “hello diabetes here I come” diet, consisting of white bread, margarine and jam. When you are used to this much sugar and carbohydrates, it’s a hard push to go back onto a good food diet. Two weeks of professionally controlled intervention was needed to change and stabilise their conditions. So we worked together to raise the money and they were booked into the Living Valley Health Retreat, the same health retreat the original 12 Hope For Health women went through. We had to move fast for both of them, otherwise it would be too late. It was also apparent that it would be no good just bringing the guys along without their wives, so we made up a team of five. A change in lifestyle like this needs to be a family experience. It’s strange that many people say communication from English to Yolngu Matha around medical issues is now no problem, and that concepts and ideas have been translated and are being understood by patients. I can tell you, it’s just as bad as it was 20 years ago. These two men were the “go to men” on their home community for government and other people wanting translation work done, and here they were struggling to understand basic medical concepts and good food information. Both have a college education but still have difficulty understanding intangible concepts like percentages, or the words ‘nutrition’ or ‘hormones’ and dozens of other terms. For success and to stay on track, they needed to understand intellectually all the biomedical information, plus understand the difference between good and bad foods, detoxing their body, and the reasons for exercise. However, for them, English is a fifth/sixth language. They don’t have access to a complete two-way dictionary, where they can simply find meanings to these English terms in their own language and so a human dictionary and mentor, me, is essential. So we needed to create an experience where this information, together with feeling “20 years younger” at the end of the two weeks, would help them cement their healthier future. Two weeks later a different crew in Brisbane heading home to Galiwinku. What a difference a detox, good food, and gentle exercise makes. At the beginning of the program, one man had great difficulty walking 500m and his blood pressure was 200/140. By the end of our time in Queensland, he could walk 3 km, plus some hills, and his blood pressure was down to 116/75. He went from extremely high blood pressure to normal blood pressure. This was great! Now he not only knows and understands what his blood pressure is, but he also knows what that means in terms of keeping his remaining kidneys alive. He is now resolute to remain raypirrmirr – disciplined within his mind, body, and soul – to stay on track. These two couples now join the monitoring and support program that “Hope for Health” has running at Galiwinku, their home community. But the big question on all our minds is how we can intervene and save many more Yolŋu lives. As I write this, there are another five Yolŋu community leaders requesting help, but we do not have the resources to assist. We need another model; and that model is to build a resource centre on Elcho Island itself. We need to stop this epidemic of chronic disease, so that Yolŋu people have a safe and healthy future. So our task this year is to build a retreat centre within the community. Please support us and help build this retreat on Elcho Island as there is no government money to support this life saving program. Help save more Yolŋu lives. Donate now or contact us if you want to become a special partner. We can do the work – we just don’t have the funding.